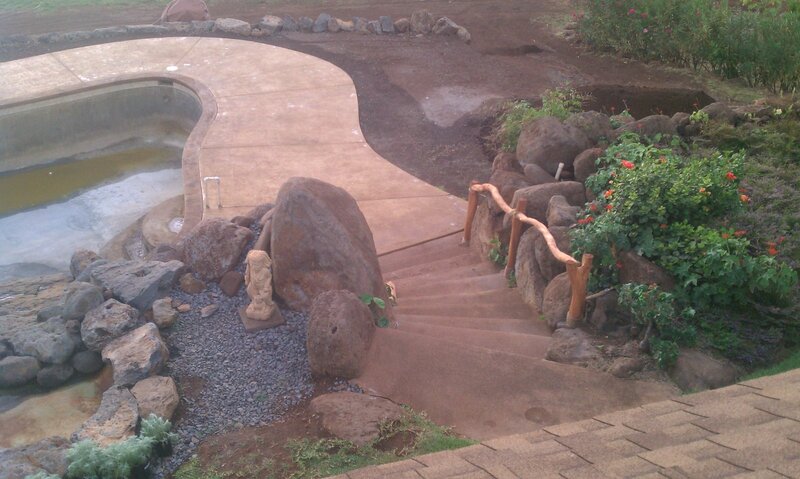 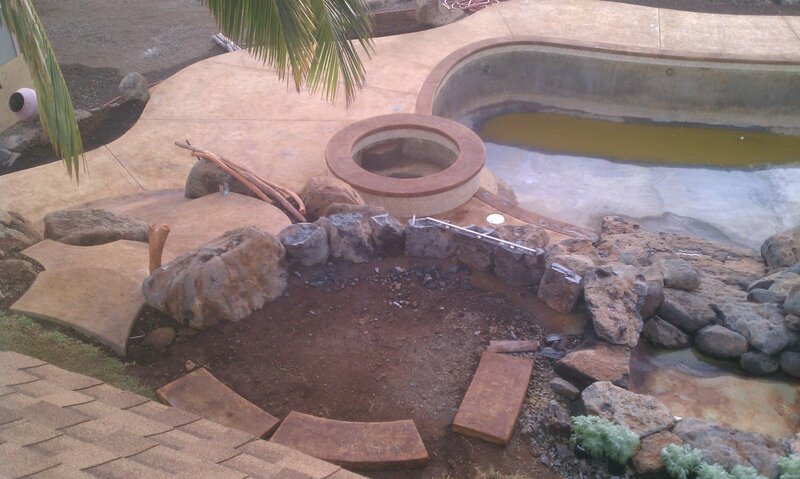 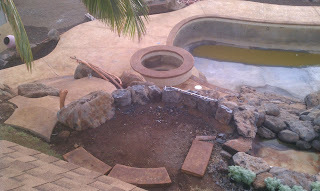 West Maui Estate: Acid stained the concrete around the pool in a two tone look. 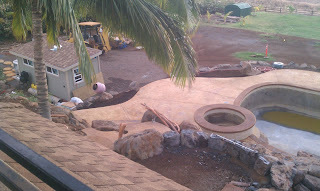 Sandy tan and dark brown on the coping. 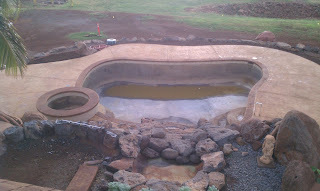 Acid stained the concrete around the pool in a two tone look. Sandy tan and dark brown on the coping.